As long-time readers of this blog know, I teach CE3201: Introduction to Transportation Engineering. I have recorded short videos of key topics for the course (which I beta-tested earlier this year). They are available on my YouTube channel. You can watch the whole thing (if you have a lot of time) or selected videos at this Playlist. These lectures complement the open access wikibook Fundamentals of Transportation. Email me if you are interested in the syllabus. At The Daily Caller, a seemingly mutt-like mix of Maxim and The Weekly Standard aimed, as far as I can tell, at nattily-dressed, horny, male College Republicans, Matt Smith summarizes some of the recent discussion (including my previous post) about whether conservatives should support buses or trains in Infrastructure Spending: Are Buses The Answer?. Praise for buses is a popular, if counterintuitive, sentiment among some leading conservative economists and commentators these days, including AEI’s Jim Pethokoukis. 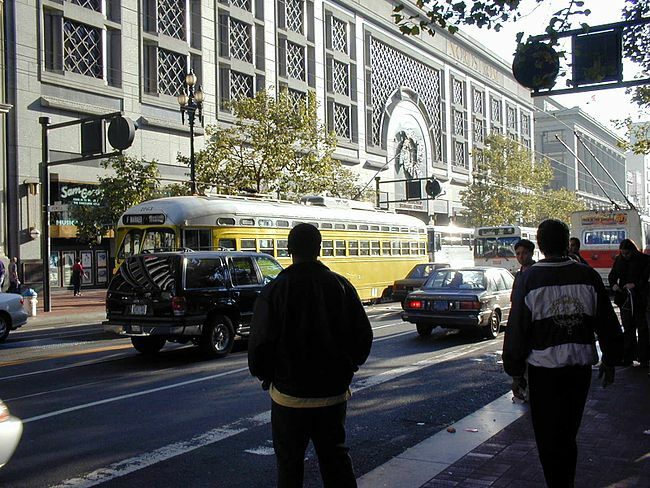 Interestingly, though, it is the very thing Levinson cites — the flexibility of buses — that some believe makes buses inferior to other alternatives. He cites [Lind and Weyrich] basically saying rail is permanent, as if (a) rail hasn’t disappeared before, and (b) a corridor good enough to support rail would not be good enough to maintain bus service. [Buses picking up low-income workers] may or may not be a valid idea to address a specific need. Still, any notion that buses are some sort of infrastructure panacea for the rest of us is probably misguided. Researchers studying the relationship between the growth of road networks and regional development at the county level in Minnesota found a weakening connection between the two. “The influence of road networks on employment isn’t as large as it used to be,” according to Michael Iacono, a research fellow with the Department of Civil, Environmental, and Geo- Engineering (CEGE). Iacono and David Levinson, the RP Braun/CTS Chair in Transportation, authored a paper with their findings earlier this year titled “Mutual Causation in Highway Construction and Economic Development.” Iacono also shared their findings during a presentation at the CTS annual research conference in May. The researchers measured regional development by examining changes in data about population and employment. They used 20 years of road data from the Minnesota Department of Transportation (1988–2007) and employment data from Minnesota counties for the same period. Part of the reason for the lack of connection between roads and development simply may be the maturity of the road network. In other words, existing roads facilitate most economic activity. “We’ve made most of the biggest, most productive investments already,” Iacono explained. The researchers interpreted the findings as evidence of a weakening influence statewide of road networks (and transportation more generally) on the location of economic development. However, it’s possible that other location factors such as human capital levels, tax rates, and natural amenities have become just as, if not more, important than transportation network considerations. Iacono added that since, from a statewide perspective, most of the major investments in road networks have been made, further changes to road networks likely won’t lead to significant changes in where people live and work. But he cautioned that these findings are too broad to be applied to specific development projects. The study did find, however, mutual causality between population changes and the growth of local networks. Specifically, it found that the growth of the highway network tends to follow changes in population, and this result was statistically significant. Population growth also followed highway growth (they were positively correlated), but the result was not statistically significant. The study stems from a previous research effort for MnDOT.